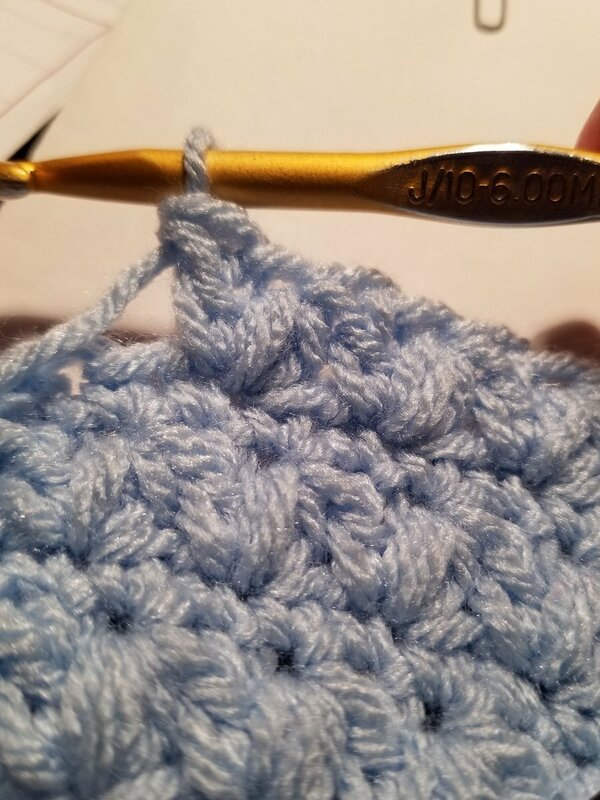 I was mis-remembering the stitch pattern of a sweater I made ages ago, and was poking at the sweater yesterday trying to see what the stitch pattern was. 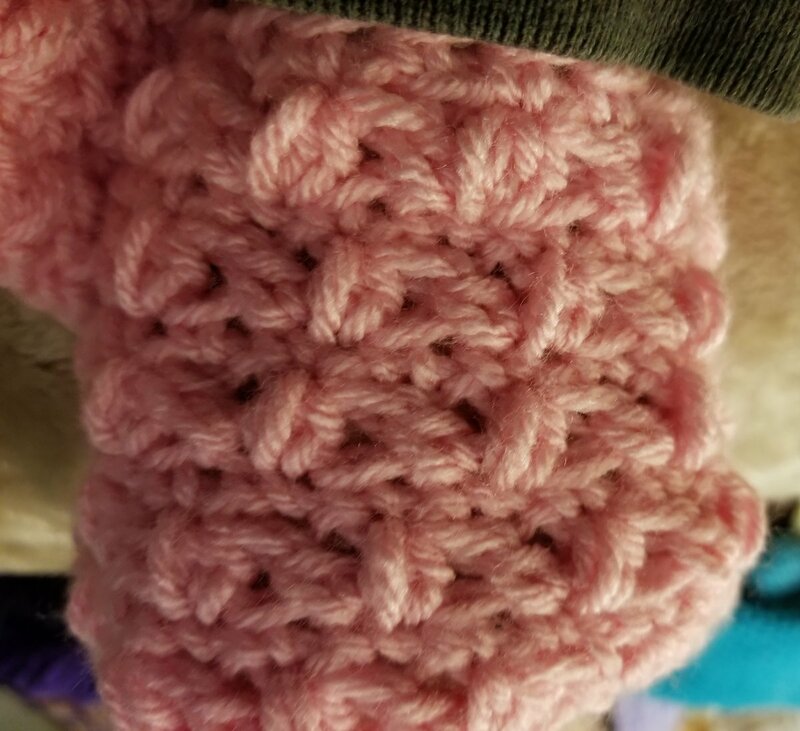 I thought I was seeing DC and SC in the same stitch in your sample, which I knew was in that sweater. I just dug into the nether regions of my pattern files to get the name - here's a link Tee Top Sweater. It was sc, chain 1, dc, skip 2, repeat. Here's a scan of the sweater, not quite the same as your headbands. I don't think yours is a puff or cluster, the stitches don't appear to be gathered up at the top that I can see. Now I'm just noticing what looks like a row of sc in the bottom pic in the row below...interesting. Maybe that was in the design so the main pattern stitch was always facing the 'right' side? I love that you are taking all this time trying to help me! Thanks SO much! 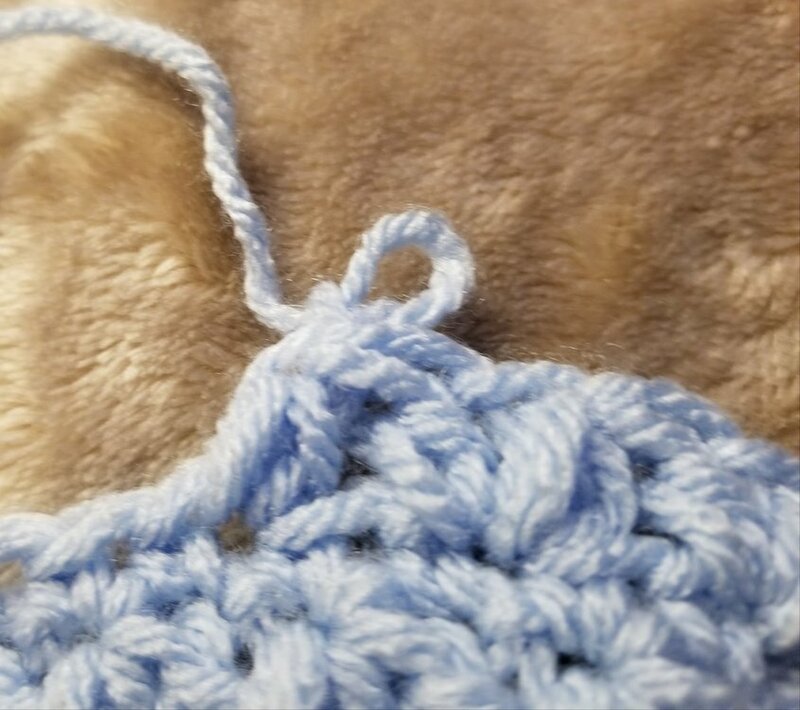 The reason I'm thinking a puff stitch is that there's sort of a long strand that goes over the others in one stitch. And, yes, there is what looks to me a row of sc in between each row. 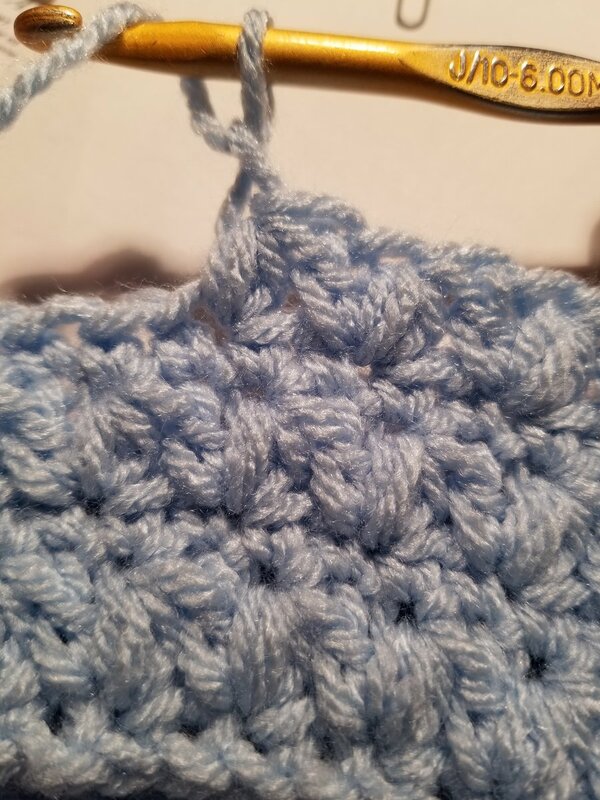 I have figured out (by pulling it apart) that that row happens from slip stitching at the top of these other two stitches. So it's like puff, then some long stitch, but not as puffy, then close then with a slip stitch, all in the same stitch, then skip a stitch and repeat.....? 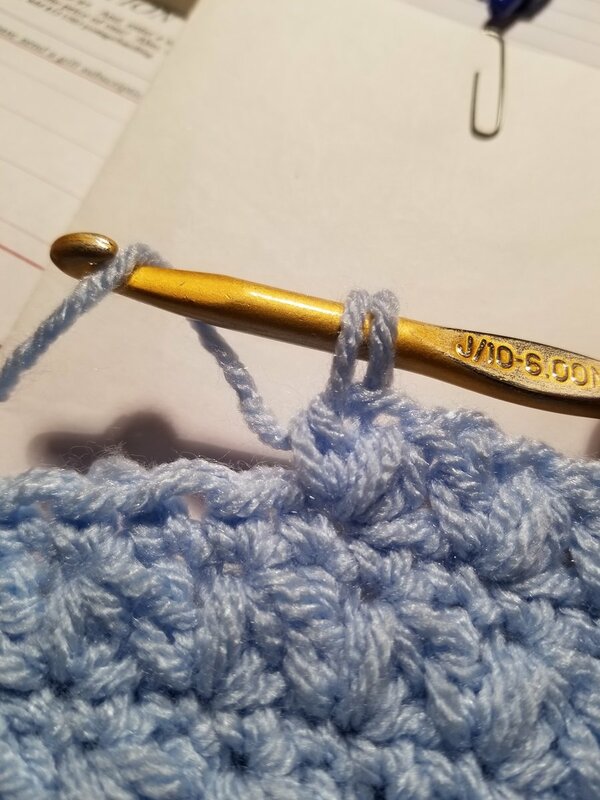 What is driving me nuts is that I keep pulling out "just one more stitch" to figure it out and I've already ripped out a whole row (there are only 3 rows in a small headband) and I still can't figure it out! Here are 3 pictures of the stitches as they progress from one stitch, to the second, to closing them up. 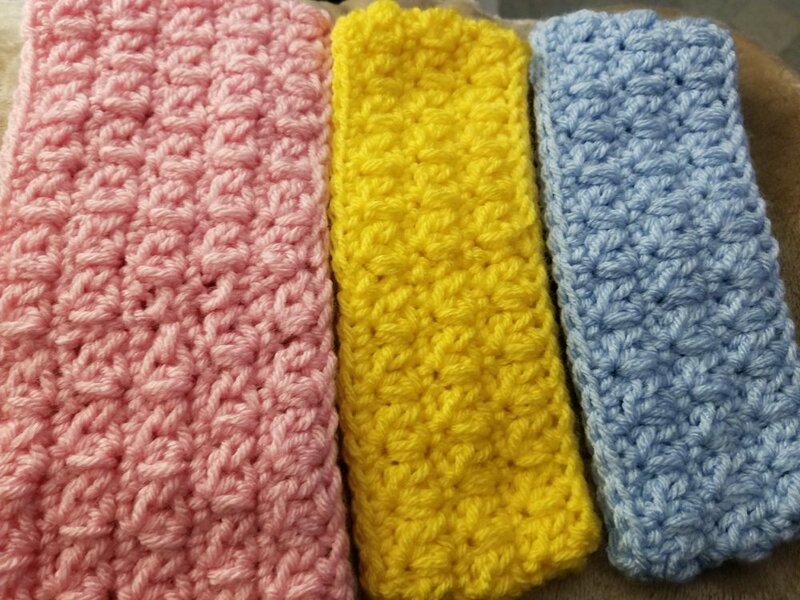 Could it possibly be the Trinity Stitch?